When you have a baby, things can add up quick. That’s why it’s always nice to find free baby stuff to help save your budget! All of the items on this list are FREE, but they may require you pay the shipping for the item which will depend on your location. So… if you need any of these items for your baby, take a look and see! In an effort to fully disclose, this article contains affiliate links. This means if you purchase something, I would receive a commission. For more information, see my disclosure page. I get it, it’s easy to be skeptical when you hear things are free. The first freebie on this list is 100% free. They run solely off of donations and is a non-profit. The others in this list are offered by Mother’s Lounge and their affiliates. They offer free products and all you have to do is pay the shipping for them. Not a bad trade-off in my opinion! This next freebie is available for kids from birth to the age of 5. Every month they will send you a free book that is age appropriate for your child. Right now it’s available in the United States, United Kingdom, Australia, and Canada. Check them out here and see if it’s available in your area. This next baby freebie is squeel worthy! Eskimo kids makes these fun and adorable faux fur hats for babies, toddlers, and bigger kids. They also make them for adults so you can match your little one! If you use the code STAYWARM35, you can get one of these truly magical hats for FREE! Check out all their faux fur prints here. Baby shoes are my weakness as a mom. There’s something so cute, and utterly irresistible about little tiny shoes. If you use the code BABY60SHOES, you can get 2 FREE shoes for your little one. Check out all their adorable styles here. Reading is one of the first ways you can teach your baby. It can be fun for both you and your baby! Another equally exciting baby freebie is offered by Babsybooks.com. Entering the code READ2BABY will score you 5 FREE board books. Do you have an eye for design or want to customize some baby onesies for your little baby? If so, this baby freebie is right up your alley! Using the code BABYCLOTHES50 will get you 2 free baby onesies. Are you planning on using pacifiers for your baby? If so, this is one you will want to check out! Custom Pacifiers is offering 3 free pacifiers that you can customize when you use the code FREEPACIFIER30. They have many different designs and choices, so check them out here. Do you have a favorite team? If so, why not include your baby in the fun and get them a cool onesie or pacifier! Little Fans offers sports memorobilia including pacifiers, onesies, bottles, blankets, car seat covers, and so much more. Right now, you can use the code SPORT35 and get $35 to spend on whatever product you would like. Check out their great products here. Make bath time fun with a free baby towel from Hooded Towels. They have a baby shark towel, an alligator towel, a black cat towel, and so many other cool animals and designs. All you have to do is head over to www.hoodedtowels.com and enter in the code BATHFUN. 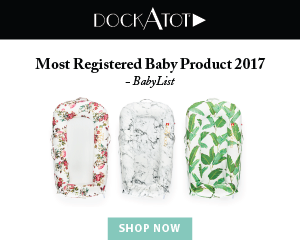 There are also a lot of baby freebies that you can take advantage of when you create a registry with Target, Amazon, and BuyBuyBaby. Target will give you a welcome kit with samples and high value coupons just for creating a baby registry! Amazon offers something similar too for creating a baby registry. Here is a screenshot of BuyBuyBaby’s baby registry perks. I talk a lot more in depth about how to save money on baby formula here, but if you sign up with Enfamil and/or similac they will send you full size samples and coupons! What’s also great is that you can sign up for these again and again if you have another baby! Screenshot of baby freebies offered by Similac. That’s all of the free baby stuff right now, but pin this for later as we will continue updating and adding new things as we find them!